Artist / Conservationist Kim Hunter was first introduced to the magnificence of Canada's Temperate Rain Forests in BC when opportunities as a young adult came about to donate works of art to save one of the last intact Old Growth forests in BC. Coined "The Group of Seventy", artist, artisans and volunteers donated their time and work, in collaboration with the Wilderness Commitee, succeeded in helping to protect the Elaho Valley and Sims Creek and over 200 000 hectars of some of the last Temperate Old Growth Rain Forest in the Stoltman Wilderness. Click here to See the MSM Interview. Although born in BC, being raised in Churchill Manitoba, where the value of conservation, ecology, education and social contribution is the backbone of the community, the inate insinct to protect what little is left of BC's most intrinsic and spectacular ecosystems in the world became a labour of love. Tens of thousands of volunteer hours later, the appreciation and insatialble appetite to learn about our natural world has culminated into a most meaningful and enriching careers for this Artist and Conservationist. 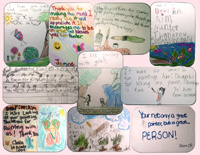 It was over a decade ago when Artist / Conservationist Kim Hunter was asked to create her first Eco-Art educational murals, first for a children's dental office, then for wild salmon conservation efforts on behalf of the Hyde Creek Hatchery and Educational Center. Click here to See the Video. Artist / Conservationist created the educational video as a tribute to the important work and dedication of the all the volunteers who help to restore and protect wild salmon habitiat through conservation and education. 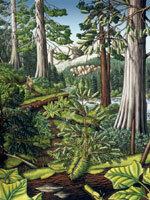 Click Here to view the five eco-art-educational murals created for the Hyde Creek Hatchery and Educatational Centre. The knowledge of and dedication to conservation by volunteers and the meaninful contributions made to community through art, education and conservation spurred an ever more enriched and ever deepening passion with the knowledge aquired with each passing conservation through art project. 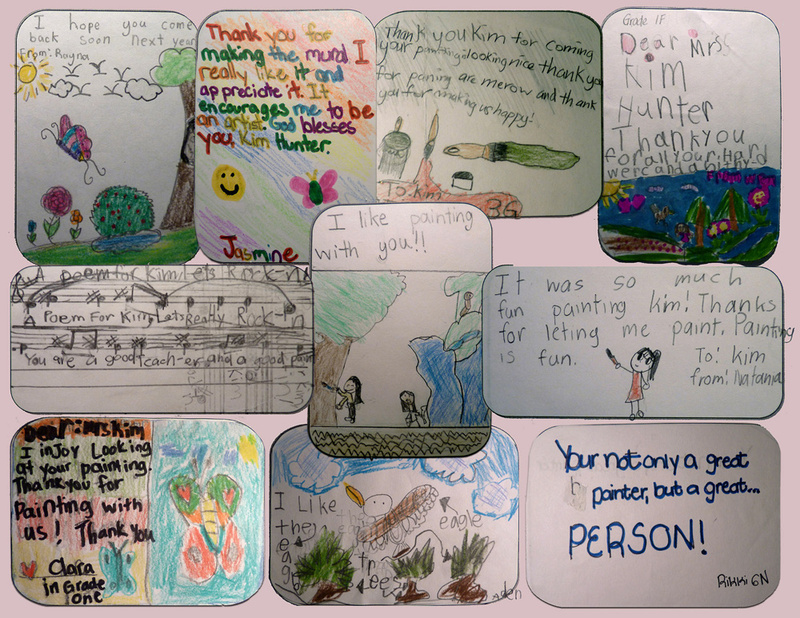 Be it through ecology based arts and crafts programs with children or elders, collaborative murals for schools or Non-Profits, or guiding eco-art walks, the ability to contribute to community by combining three greatest passions into programs that entertain, educate and encourage conservation is by far is the most rewarding creative endeavours for artist / conservationist Kim Hunter. 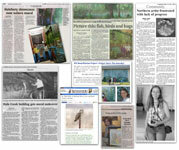 Enlisting decades of creative experience, knowledge and passion for our natural world for many popular community and Non-Profit programs with children and adults alike, through meaningful educational and community tours, projects and programs, we hope to create the perfect platform for Eco-Art Walking Tours and Educational Programs for any patron, group or event. The astounding success of leading and Art-Eco walk for Artist for Conservation in 2015 was the catalyst to developing the Eco-Art Walking Tour. 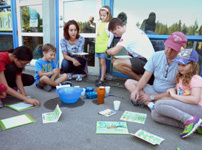 The appreciation and support of our community and the need for an Eco-Art program to help develop a deeper understanding and appreciation for the treasure that is BC's natural world through play and exploration is the reason Eco-Art Walking Tours & Educational Programs was born. Discover hidden treasures and learn to identify the iconic plants and the wildlife of the West Coast. This guided walking tour explores the ecology, esthetics and traditional uses of the wilds of the Pacific Northwest Temperate Rain Forest in Vancouver's backyard. 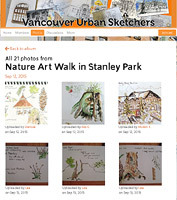 Enlist in the dedication and insights of the renowned artist and conservationist to guide your next Stanley Park walking tour or contact us to develop the perfect ecological / educational arts and crafts school, group or community program. Rates and dates available apon request.